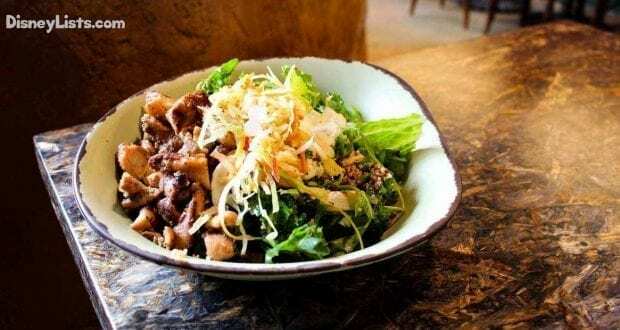 If we said, “Let’s meet up for lunch at the mess hall” – your mind may flash to some cafeteria style spot with poor food, and chances are you’d pass on the lunch offer. 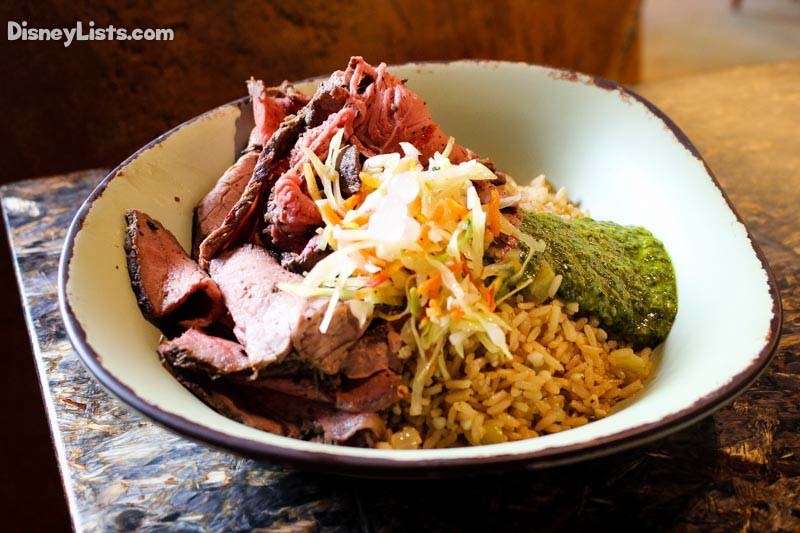 Well, we wouldn’t blame you… UNLESS we were inviting you to join us at the mess hall known as Satu’li Canteen. 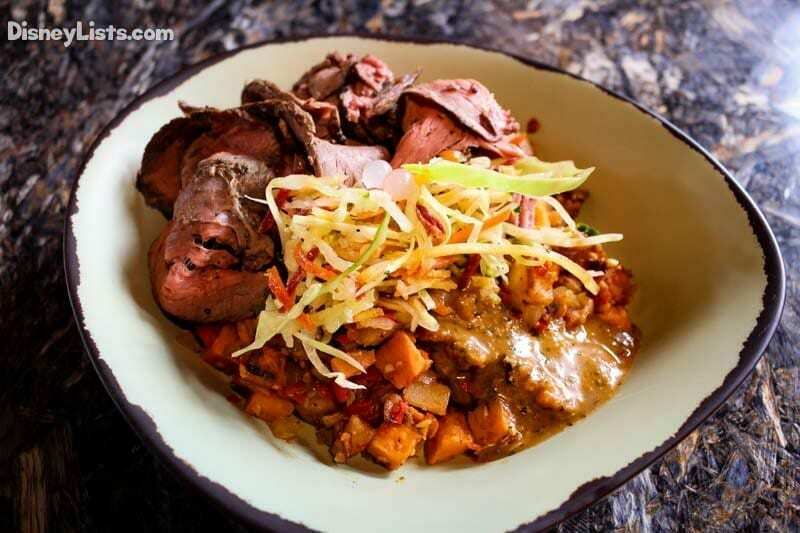 Only at Disney can one be wowed by this “mess hall” Quick Service Restaurant now open in Animal Kingdom’s Pandora – The World of Avatar. 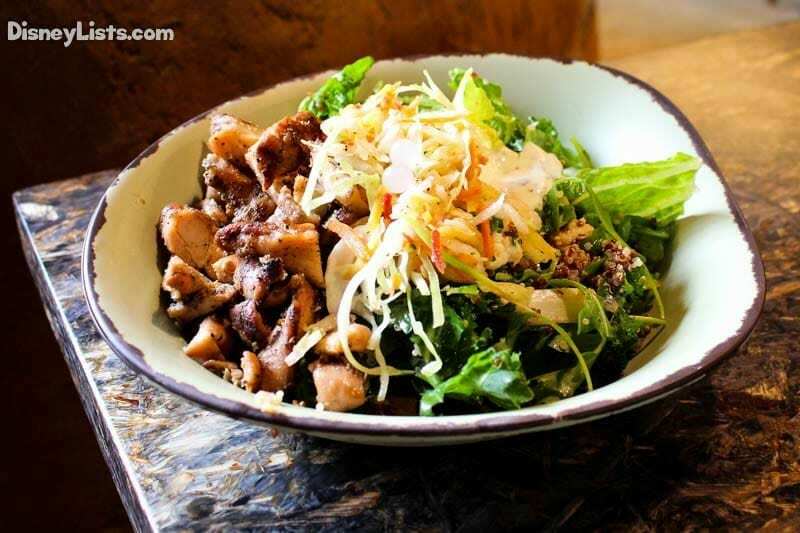 Before making your way to Satu’li for a meal, here are five things we think you should know! Opening May 27, 2017, Animal Kingdom’s Pandora – The World of Avatar is taking guests by pleasant surprise. The detailed theming, the attractions, the dining, and even the shopping all flow seamlessly in this fantasy world. If you have not seen the 2009 Avatar film, we’d recommend doing so before visiting this land so you will know what to expect! Satu’li Canteen is the perfect fit in this land as the main dining establishment, as it holds true to the Avatar theme beautifully. This Quick Service spot located at the far end of Pandora, is themed as a long ago an RDA (Resources Development Administration) mess hall that has now been decked out with a colorful array of Na’vi (Pandora natives) art and cultural items. While the foundation of the building looks like a metal Quonset structure, the Na’vi touches warm the space up in a peaceful way! 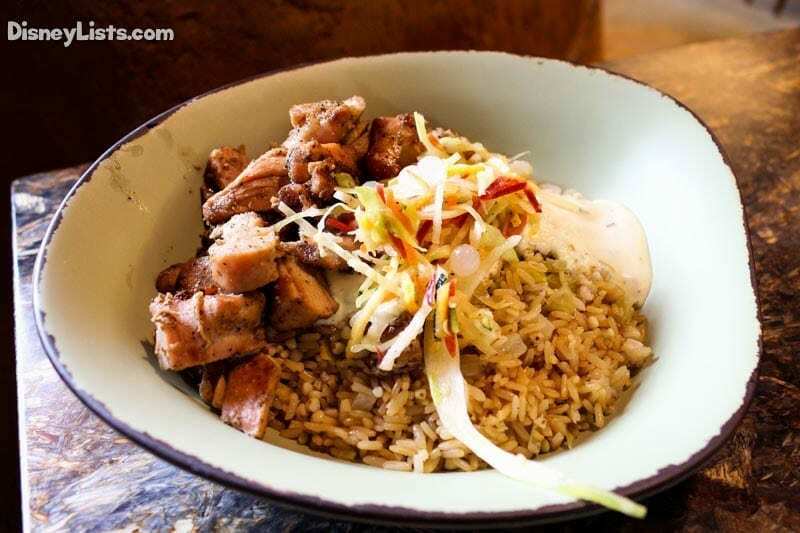 Operating from park opening to park close, and remaining open through Extra Magic Hours – Satu’li Canteen serves up breakfast, lunch, and dinner. Breakfast highlights include French Toast, Pork Hash, Steak and Eggs, and Steel Cut Oatmeal. 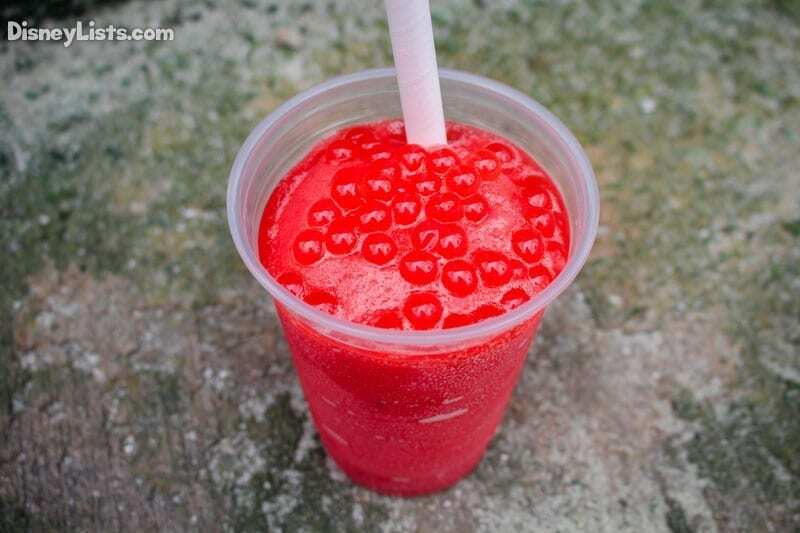 While visiting for breakfast, we recommend you try the beverage known as the Pandoran Sunrise (tropical juices blended with Powerade Melon). You could even start the morning off with a Bloody Mary Cocktail if you’d like! These bowls are what the rave is all about and we now understand why! 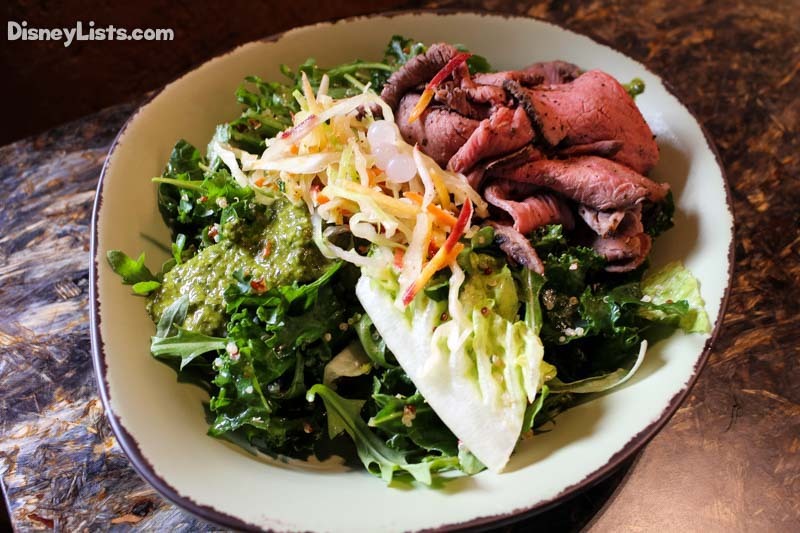 The fresh taste and ability to order in a custom fashion makes them a meal we will definitely be trying again. Besides the bowls, the two “pod” (aka Bao Buns) selections available are vegetable curry pods or cheeseburger pods. Either pod selection comes with root vegetable chips and crunchy vegetable slaw. 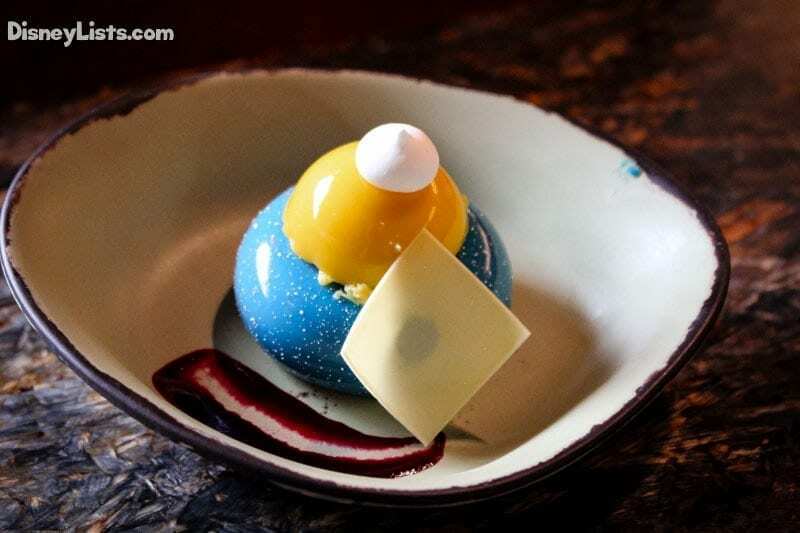 Don’t forget to try the unique and visually interesting desserts. The Blueberry Cream Cheese Mousse and Chocolate Cake aren’t to be passed up! We especially appreciate the great variety found on the kid’s menus on both the breakfast and the lunch and dinner menu. Our kids were pleased! 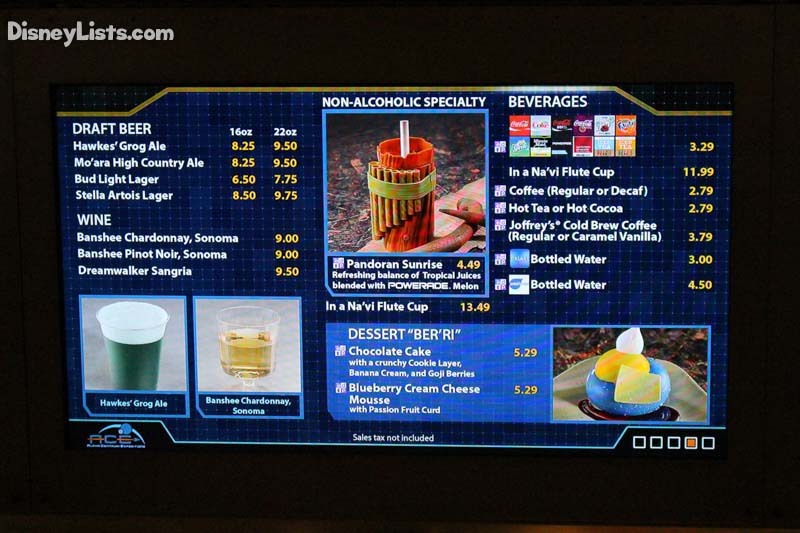 The usual Coke products are available at Satu’li as well as great alcoholic beverages, including multiple ales. Hold the phone!! No, really… hold the phone and place your order for Satu’li Canteen with it! 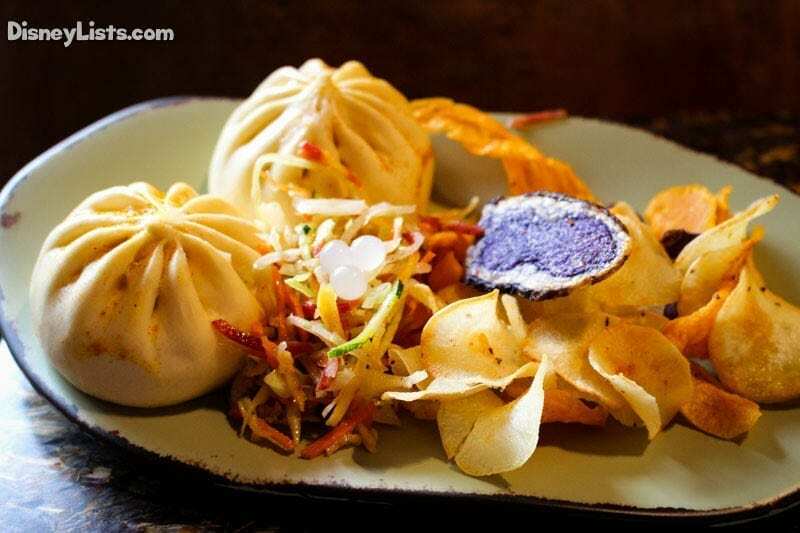 That’s right, Satu’li Canteen is the birthplace of mobile ordering that is expected to catch on at other Quick Service locations throughout Disney World. It’s super easy really and saves a ton of time. Simply open your My Disney Experience App and go into Satu’li Canteen and press “Order Food”. The menu will load for you to scroll through. Once you’ve found what you wanted, simply press it. You will be prompted to select additional requests, like your base and sauce option for example. Press the “Add” button for it to go into your cart. Once your ordering is complete, you can review your order summary and place the order with payment online. 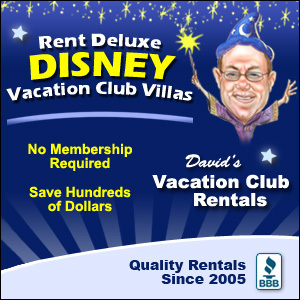 You can order wherever you’d like… even while standing in line for an attraction! 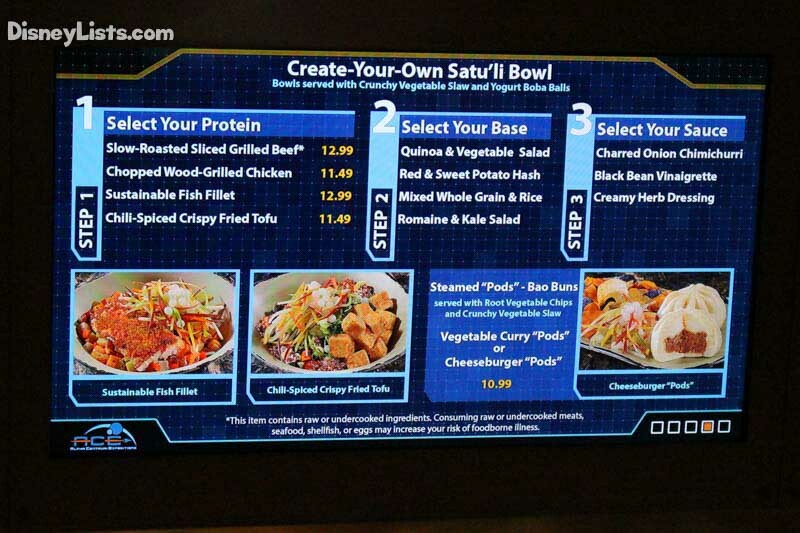 Once you are in the Satu’li Canteen area, press “I’m Here, Prepare My Order”. Within a few minutes you’ll receive a push notification to come pick your food up at the Mobile Ordering window. It’s just that easy! We were super impressed at just how efficient the process was and how quickly our food was ready. The only negative is we had a Gluten allergy in our party. At the present time, mobile ordering does not allow for special allergy requests, so our Gluten allergy guy had to go wait in line at the windows to place his order. It’s no secret that Pandora – The World of Avatar is an extremely popular destination right now, and for good reason! We expect large crowds to be flocking to this portion of Animal Kingdom for quite some time. 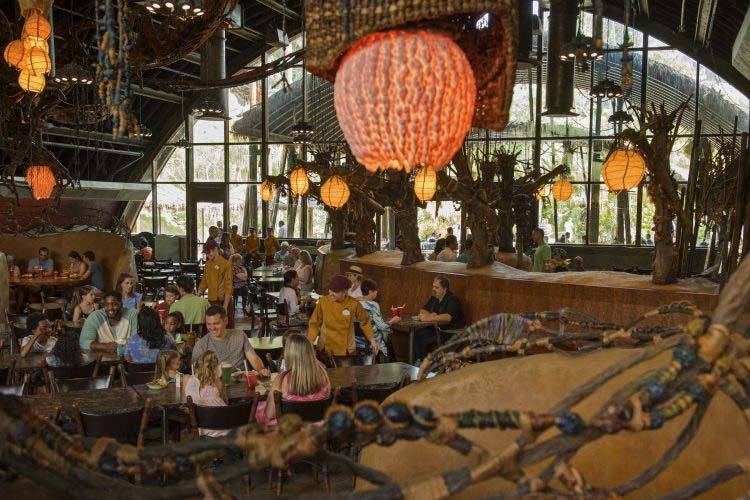 Due to the large volume of guests passing through, Disney thought ahead and truly planned well when making Satu’li the hub of dining in Pandora. The “mess hall” concept allows for numerous tables with multiple seat options. We had a lot of rain during our most recent visit and were thankful to find almost all the outdoor seating at Satu’li to be covered. The indoor seating was a particular favorite of ours, as there are more areas with booth style seats that are ideal if you can snag one while it’s open. Overall, we were extremely pleased with Satu’li Canteen both in appearance, efficiency, and food. 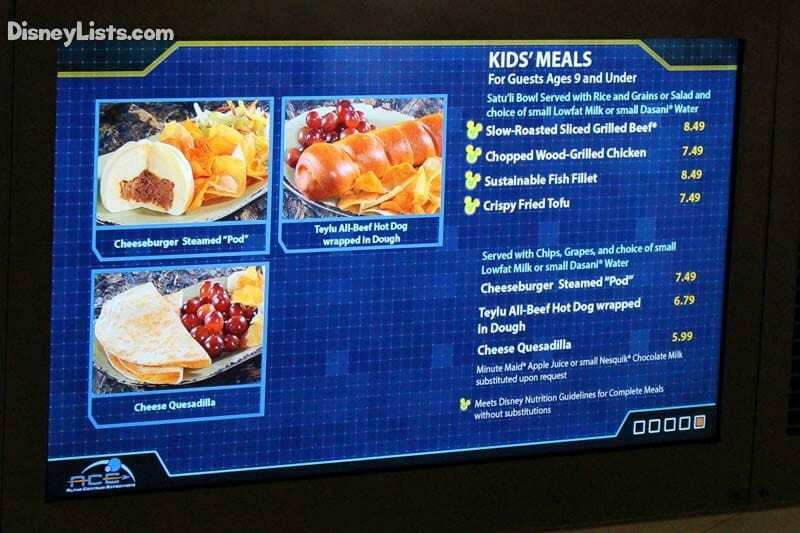 We loved the décor and space, the Cast Members were super efficient and prepared, and the food was rather filling and boasted fresh ingredients… which was especially nice for a quick service joint. We thought it was friendly on the wallet too! 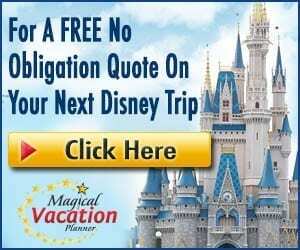 Plus, it does participate in the Disney Dining Plan as 1 credit. Check out Satu’li the next time you are at Animal Kingdom! 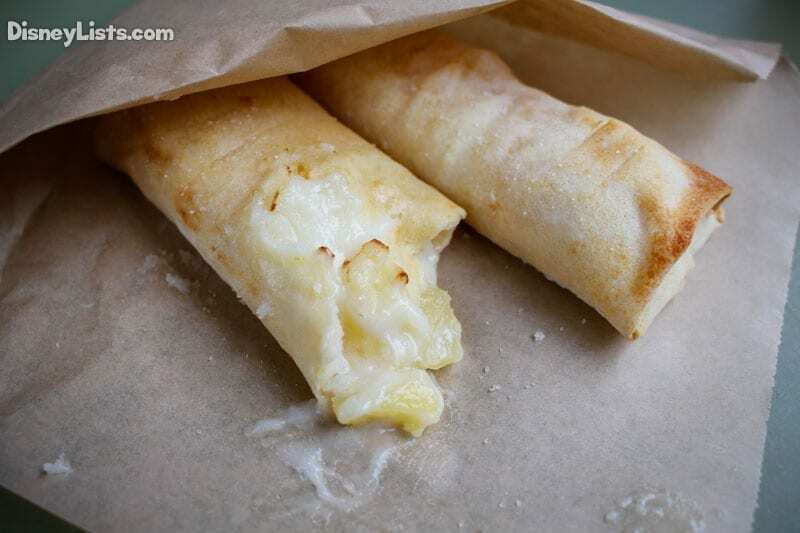 Chances are it will end up on your list of favorite quick service spots at Disney World.